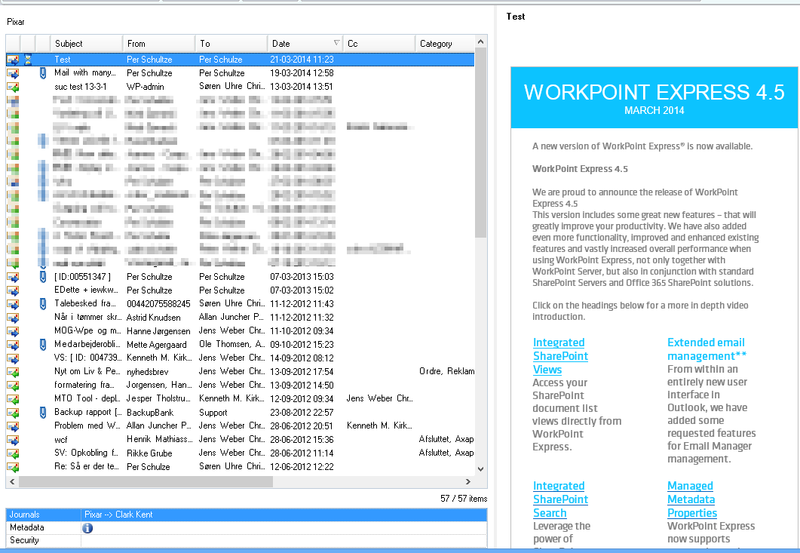 WorkPoint Express 4.5 and Email Manager - Extended email management – Welcome! How can we help? 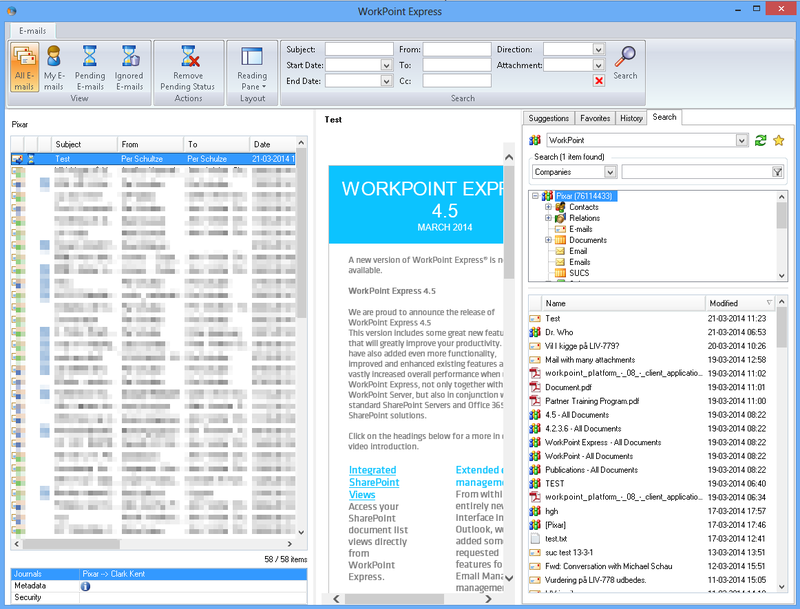 WorkPoint Express 4.5 together with WorkPoint Email Manager, includes a brand new interface, that helps your organisation to mange, process and find jounalized and pending email items. The new version of WorkPoint Email Manager 4.4.1.0 has improved journaling routines and offers the option of forced journaling on specific cases and projects. We have also made it easier to filter unwanted emails. Will present the user with all journals that the current user has access to. We have also included a preview window, where each email can be read. In WorkPoint Email manager we have included a function that allows you to define forced journaling on specific cases and/or projects (e.g. you can force journaling of all emails from a specific customer). 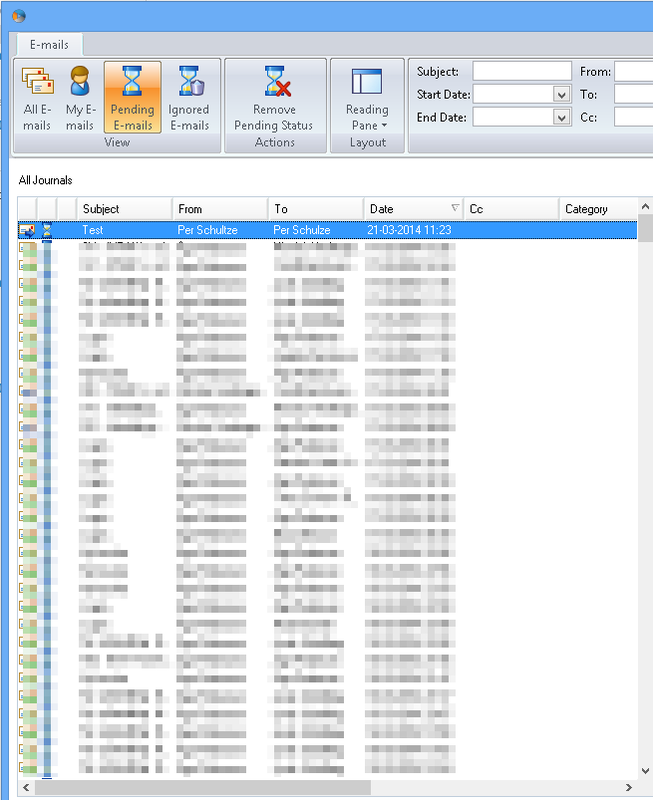 This feature is managed from with in WorkPoint Express' new extended email management userinterface. The user is presented with a list of pending items that need to be jounalized. 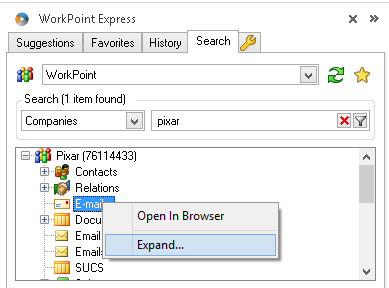 From with in WorkPoint Express it is now possible to right click any WorkPoint Email list and open it in expanded mode. This opens a new window, where you get a user friendly overview of all emails, with a coresponding email preview window. We have also included the abillity to search after any given email from with in this interface.